We talk all the time about how great homemade food is, not just because we consider cooking to be a relaxing and satisfying experience, but because it’s so much more budget-friendly than going out and spilling all your money at a fancy restaurant. Plus, it never hurts getting compliments from your friends and family–they’ll be talking for years about that delicious chicken cacciatore. However, today we aren’t talking about chicken, but we go all in with THE Italian dish. Want a hint? When a moon hits your eye like a big pizza pie/ That’s amore. And if that wasn’t clear enough, here is another hint: we gave you an excellent marinara sauce recipe. Yep, it’s time to talk about what holds everything together–literally, so today’s article is about an authentic Italian pizza dough recipe. 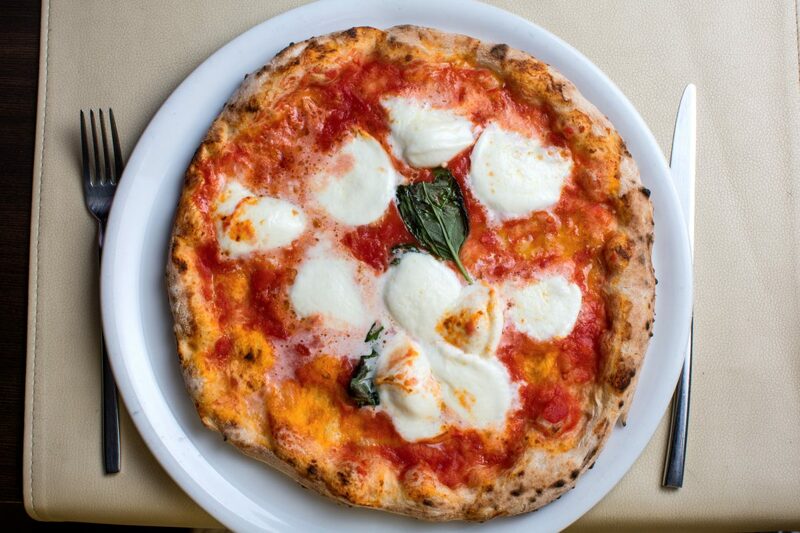 Needless to say, the pizza is a symbol of Italian tradition, recognized worldwide. Its humble beginnings were as a loaf of bread, enriched with all sorts of ingredients. This has, of course, evolved over the years, but something that hasn’t really changed is the preparation of the dough itself. 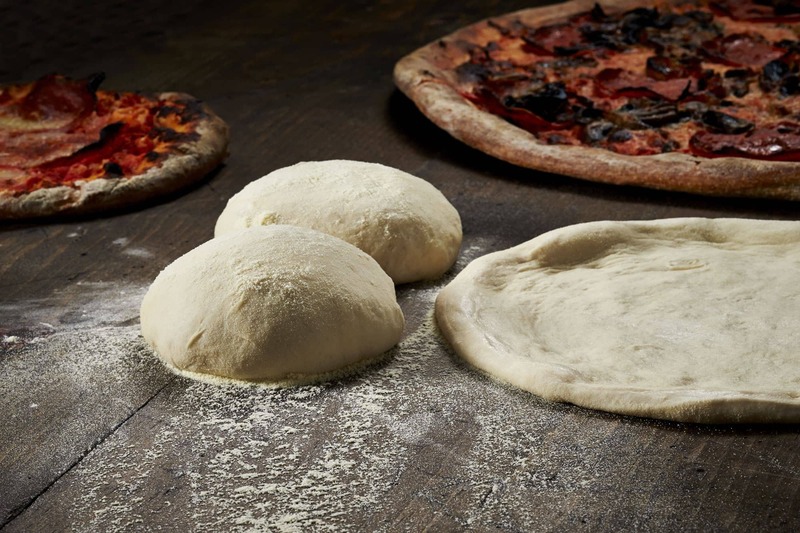 All you need is flour, water, yeast, and salt, which can be used in different quantities and forms, depending on how thin or thick you want your pizza to be. 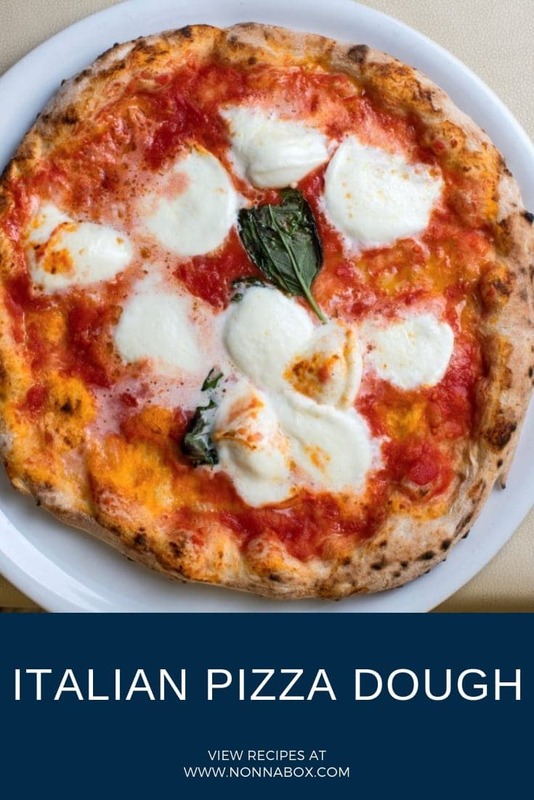 Our authentic Italian pizza dough recipe will give you a crispy base perfectly suitable to be covered with fresh tomato, mozzarella cheese, and fresh basil. 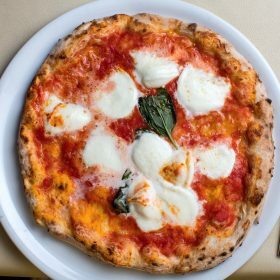 This simple and quick authentic Italian pizza dough recipe will make you wish you would have discovered it earlier. To prepare the dough for the pizza, start pouring the flour in a large mixer bowl. In a small bowl add luke-warm water and then add the yeast, mixing gently until the yeast is dissolved. Turn the mixer on with the hook mounted on medium-to-low speed and start pouring the water little by little, making sure you wait for the previous dose to be absorbed by the flour. Keep kneading until the dough gets smooth and homogeneous. When it gets to that point, keep kneading for about 15/20 minutes. Add the salt and keep the mixer running until the salt is fully combined with the dough. When the salt is fully absorbed, remove the dough from the mixer and knead with your hands until you get a large ball. Place it in a large bowl, cover with foil or a clean humid cloth, then let it rise in the oven with the light on. Wait until the mixture has at least doubled in volume (after 1.5 h). Ideally, you should let it triple in size (at least 3 hours). Once the dough has risen, transfer it on a work surface. Divide it into 4 equal parts and shape them as balls using your hands. Once done, cover them with a clean cloth and let them stand for 30 minutes at room temperature, before using them to make your pizzas. Extra tip: The key to get a pizza like in the picture above is to use a pizza stone trust me! It makes pizza just like your best pizzeria place. You would also need a wooden pizza peel to transport the pizza from the counter to the oven! Needless to say, the recipe will be a success! Trust us, people will urge you to open your own pizza restaurant. The pizza looks fantastic! no exaggeration! but oh boy, this isn’t going to be difficult for someone like me, my cooking skills are 0.5/10. But I’ll give it my best to make this work. thanks for sharing! Simply amazing recipe thank you! The pizza stone made a total difference, thanks for the tip! What kind of yeast ? Hi Ginette – For this recipe you can use the active dry yeast and it will turn out great. And what oven temp do you recommend? Yes, it can be frozen. It is recommended that you freeze it before the leavening. Once you decide to use it, leave it overnight to defrost so you’ll have the whole day for the dough to leaven – if you are makinh the pizza for dinner. As per the temperature, the higher the better. The pizza stone should be very hot, I usually set the oven to max and once it’s reached its max temperature I leave it for 15 minutes so that the pizza stone is thoroughly heated. With some electric ovens might be harder to heat it to the max, while with some older gas oven, it might be easier as they don’t have a set temperature and you can probably reach higher temperatures than with the electric ones. When I put the pizza in the oven I always monitor the first pizza through the oven window to make sure that it’s cooking correctly. Looking forward to making my own REAL pizza. Awesome Kevin! Please let us know how it turns out! I do not have a pizza stone nor is one available in my country (Ecuador). What to do if you don’t have a pizza stone? Hi Linda, you could try to go to your local tile shop or hardware store and ask for a “baking stone”, which can be unglazed ceramic tiles, unglazed fired clay tiles and quarried tiles. If you can’t find it, you can still cook the pizza on the oven tray, it will turn out the same though. What temperature do you suggest when baking? I set mine to 500 F. The temperature should be set to the maximum your oven is able heat. Excellent, simple, authentic tasting recipe, thank you. I’ve found the imported 00 flour from Italy is my absolute favorite, and leaving this dough to ferment for a few days is really good. Thank you! I am so happy that it turns out great for you. Thanks for suggesting the oven, I am actually looking into buying one of the backyard ovens myself. Cant’t wait to have really authentic Neapolitan pizza at my home! instead of a pizza stone, can a cast iron skillet be used? Hi Correne – I have never tried it honestly. My guess is that it wouldn’t be the same thing, but maybe it turns out ok. If you do try it, please let us know how it turns out! You say let it rise in the oven but don’t say anything about temperature? I assume it’s meant to be on? Hi David – The oven should be off when the dough is rising. This recipe is very close to the Vera Pizza Napoletana recipe I use except I use a longer second rise. Works good in my wood fired oven. Good stuff. Thanks Jon! I’d love to try one of your pizzas from the wood fired oven! Ciao Laurie, no there’s no need to sieve the flour for pizza.